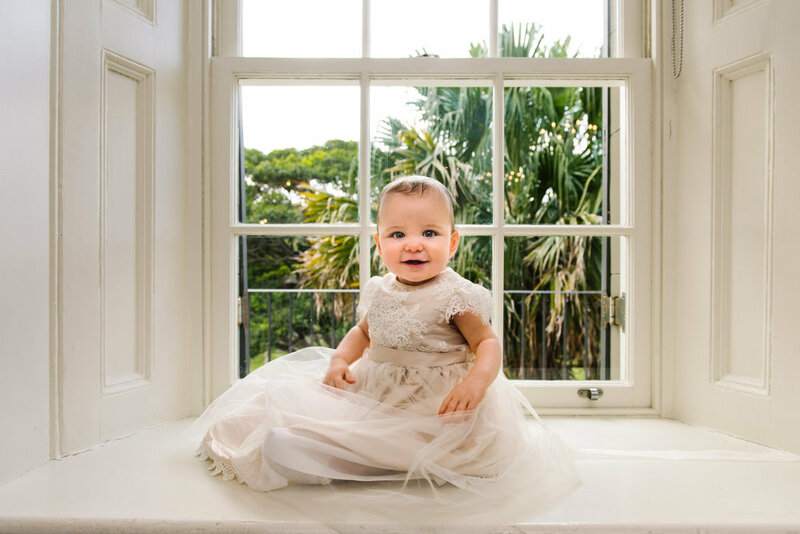 Your child’s christening day is a wonderful and happy event where all of your friends and family come together to celebrate with you. Over years of photographing christenings and baptisms, we’ve noticed that parents are creating more and more beautiful events, making sure that everyone takes part in the christening service and that they have an excellent time at the party afterwards! There is so much work that goes into this special day, and here are some reasons why you should hire a professional photographer to capture all of the unique moments. When your child is older, they will love looking at all of the photos from the day. Seeing who was there, what the church looked like, how they looked dressed in their christening gown - all of these details that they won’t recall will be displayed for them like a story. Through the photos and your retelling of the day, they will be able to create memories. Printing the images and sharing them in an album is an even better way to share the story of their special day. We know that you’ve put so many hours into creating a lovely christening day for your child. From finding the ideal christening gown to creating that perfect cake table at the reception, you’ve thought of everything. All of your hard work deserves to be documented properly! If you rely on iPhone photos from the guests, details and moments will be missed and likely be poorly lit or blurry. 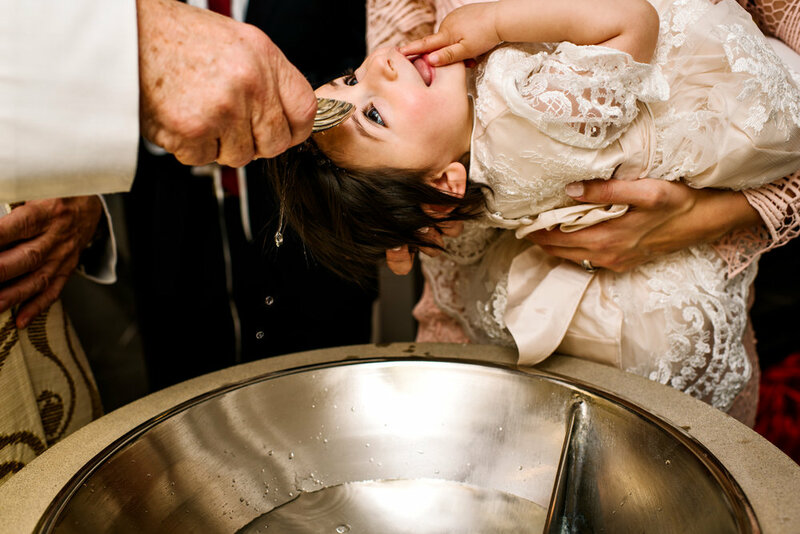 When we photograph a christening or baptism, we run through all the details with you beforehand, making sure that we capture everything. You can sit back and enjoy the day knowing that you will receive beautiful, detailed images. We all know that when you have a baby things get very busy. Sure, you’ve got 3 million pictures of your new baby, but if you’re like us, you can count on one hand how many photos you have of you and your partner with your child or children. 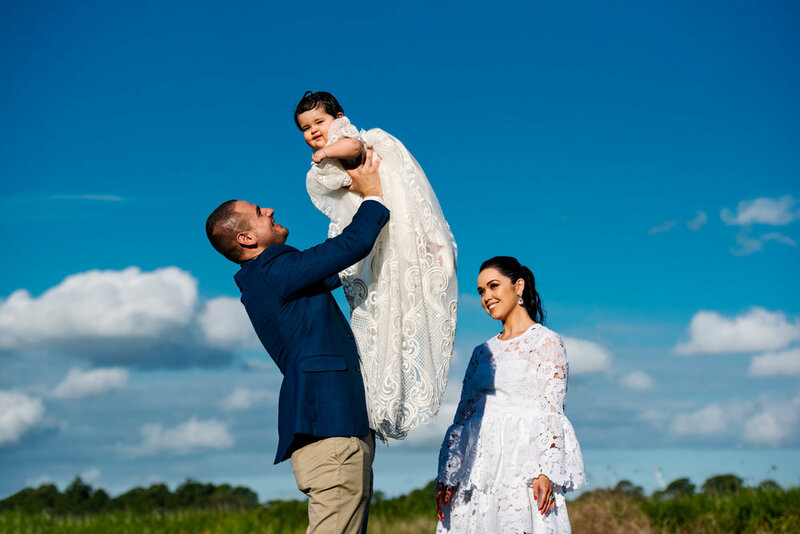 At each christening or baptism, we take you aside to a quiet place for 10-15 minutes to take some special images with your partner and baby, sort of like a mini family session. Churches are often quite dark or have extremely warm lighting. Our knowledge of lighting techniques and post production editing will mean that you will receive sharp, carefully crafted and beautiful images of the christening service. Also, having one person in charge of photographing the service means that you, the baby and your guests can focus on the ceremony and not on various family members rushing up to take photos. We love photographing christenings and baptisms and we would love to take part in your special event! If you'd like to see more of our christening and baptism photos, please see our image gallery and blog. For more information on our availability and packages, please give us a call on 0434 934 777 or 8957 5757, or send us a message. We hope to hear from you soon!